I’m going all ga-ga over the new Canon PowerShot G7 X! Hope the pricing is going to be friendly enough for me to get it as a second camera! Really is super solid! Must hold and test it on your own to feel the difference! It’s PREMIUM! PowerShot G7 X, a new premium compact in the PowerShot G series, with a wide aperture bright lens and a large sensor for superior image quality, even in low-light environments. This outstanding quality is supplemented with enhanced user control in both the camera interface as well as physical controls, making it ideal for advanced photographers and enthusiasts. The PowerShot G7 X delivers impeccable image quality while retaining the slim form factor of a compact camera. Boasting a large 1” 20.2 megapixel CMOS sensor, the PowerShot G7 X is capable of capturing a myriad of images under various lighting conditions. The camera also delivers on high-quality macro shots at a minimum focal distance of 5cm. The PowerShot G7 X is equipped with a bright f/1.8 lens, creating a more shallow depth of field to achieve better subject contrast, delivering the effect of a sharp foreground focus against a softer background. The increased sensor size will enable more light to be captured, making it possible to capture clear photos in dimly-lit environments. Coupled with 9-blade circular aperture diaphragm, the PowerShot G7 X will be able to create circular blurs to produce a beautiful bokeh effect. The PowerShot G7 X’s ZoomPlus technology allows the 4.2x zoom lens to be extended up to 8.4x while maintaining high image quality. Its broad zoom range is equivalent to a 24mm-100mm lens, making the PowerShot G7 X flexible in capturing both wide and telephoto images. 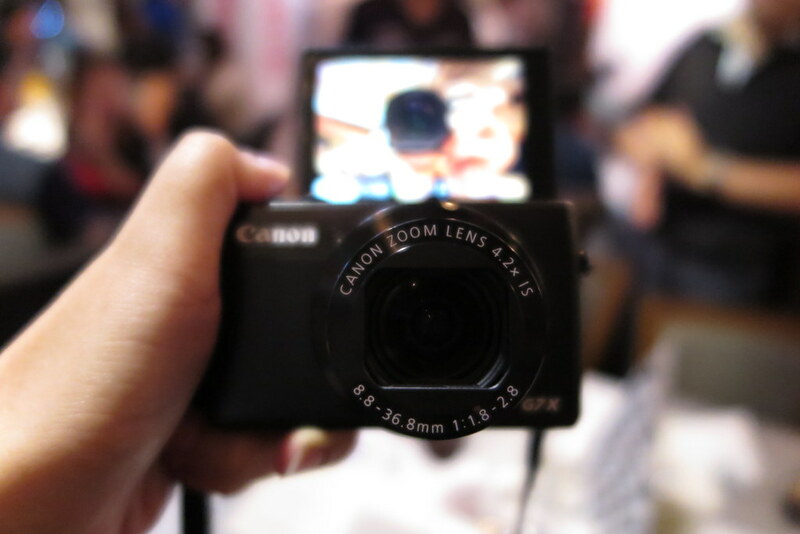 The PowerShot G7 X makes use of a 31-point AF, to ensure the desired object is always in focus. This enables the PowerShot G7 X to cover a larger area in the frame and enhances its accuracy in determining the subject. Powered by the latest DIGIC 6 imaging processor, the PowerShot G7 X has a swift start-up time to capture unexpected moments. The PowerShot G7 X also has a high speed AF where continuous AF shooting at full resolution can take place indefinitely till the camera battery runs out or the memory card is full. From the diamond knurl pattern on the dials and lens barrel to the subtle red accent on the base of the shutter release and mode dial, the PowerShot G7 X exudes sophistication in its form. For a better grip and user experience, a more tactile finish has been incorporated onto the exterior of the PowerShot G7 X, with a raised shape on the finger rest. 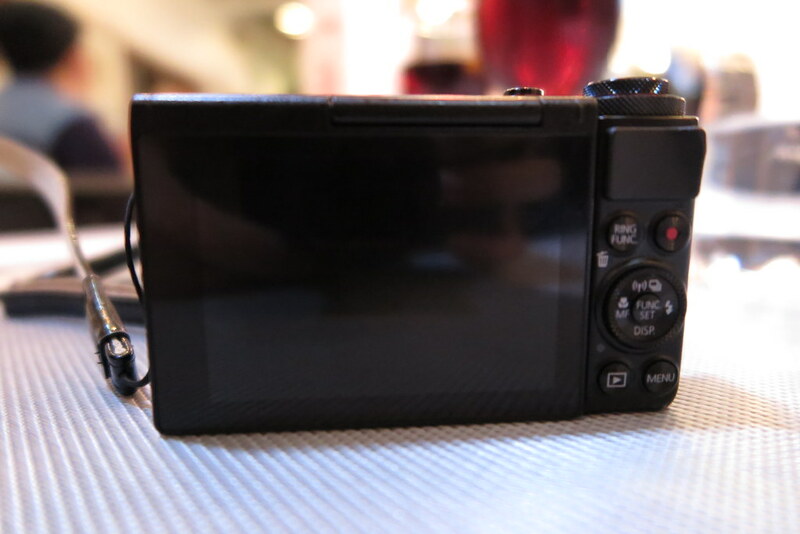 The PowerShot G7 X comes with a 180 degrees tilt touchscreen LCD to allow flexible shooting. A touchscreen interface allows features and functions to be easily accessible via simple tap and swipe motions. The ring control, built into the lens barrel enables quick and easy adjustments to basic functions like shutter speed and aperture whilst the stacked mode dial tweaks exposure compensation. The PowerShot G7 X goes beyond ‘point and shoot’ with the Manual Movie mode available for greater control over the shooting style. The Manual Movie mode allows advanced users to adjust the aperture, shutter speed and ISO setting. Users can make these adjustments through the manual control rings and touch screen even while recording. Fast moving objects are captured crisply and in smoother transitions with the PowerShot G7 X’s ability to record full HD 60p MP4 movies. Built-in wireless capabilities and Near Field Communication (NFC) support allows the convenience of sharing images and videos via the Canon CameraWindows app. Connectivity to Wi-Fi enables images to be posted directly to Canon Image Gateway, an exclusive online photography resource and service, as well as other social media websites. Spot the signature red rings! 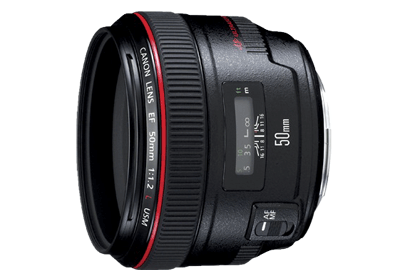 These red rings are found on their premium lenses like the EF50mm f/1.2L USM. 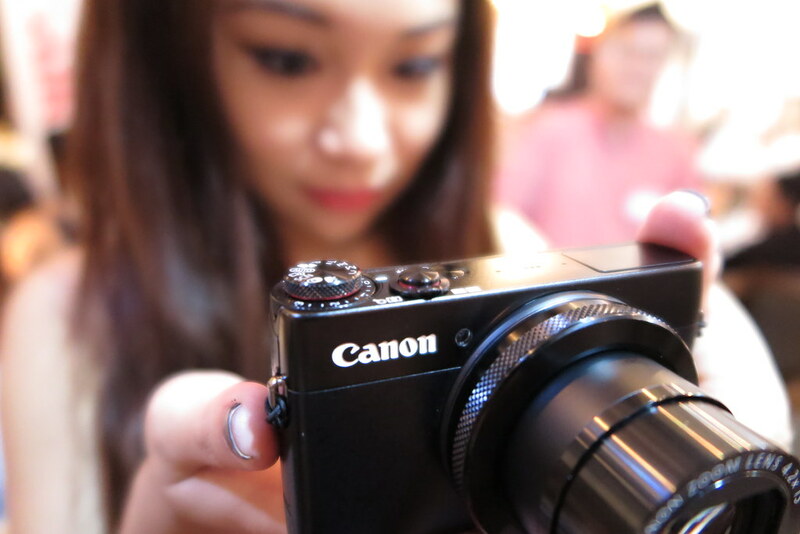 Symbolises the premium quality lens on the Canon PowerShot G7 X! 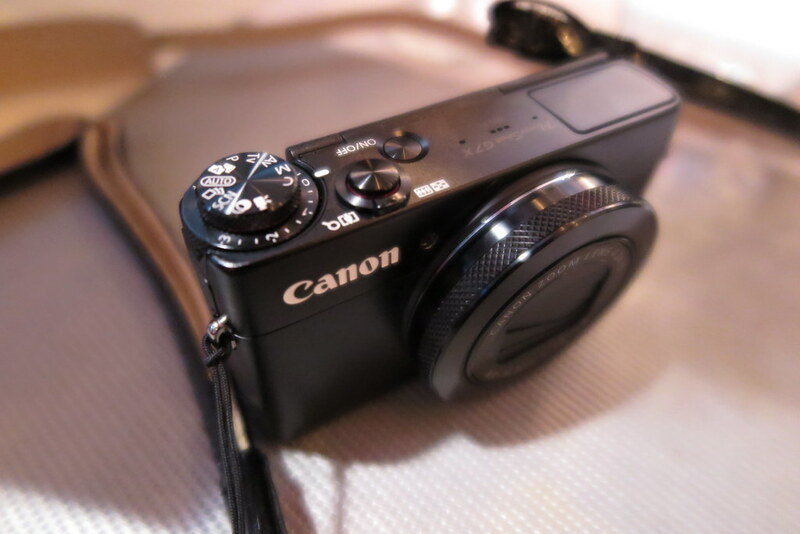 Going to be THE compact camera of the year! I cannot stop drooling over this. The solid feel, solid lens, the wonderful sound of the shutter, the awesome 180 degree tilt screen, the dual dial, the compact body, omg I can just go on and on… now to just wait for the pricing. I’m going to try tag it base on my observation with the PowerShot line-ups… this is probably going to be tagged at S$699 to S$899, considering the G1X Mark II (which I just recently bought) is retailing at S$1099. Hope its going to be at the lower range of my guess, then this may just become my every day camera! The Canon PowerShot G7 is now available at all authorised retailers at $799.